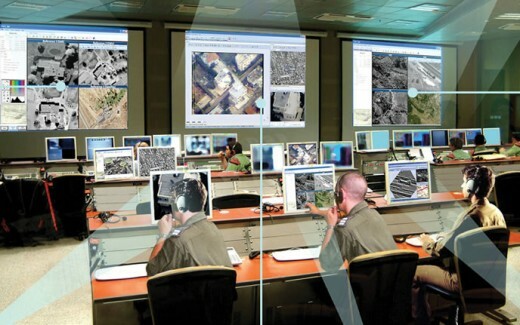 Israel’s BIG Data Analysis: The evolving capability to turn ‘Big Data’ into intelligence in timely and methodical processes enable governments, law enforcement and intelligence agencies to tap new sources of intelligence, gaining insights never before available. Israel’s leaders in Big Data Analysis gathered in Tel Aviv today, for the first Israel Big Data Fusion (IBDF) conference organized today by i-HLS. The event provided a unique insight into the technologies, concepts and procedures employed by security and intelligence agencies, to collect, assess and publish information derived from huge databases constantly gathered in daily life. Systems that can automatically track and collate information, detect patterns and relationships, even circumvent attempts of suspects trying to cover their tracks. In recent years the traditional structured databases of the past are being complemented by much bigger repositories of unstructured data, information that have never been tapped before – video surveillance, satellite images, emails, social networks, internet pages, open source news, voice and data interception etc. Managing these new repositories require new systems, storing huge volumes of information and able to retrieve specific pieces of data in an efficient and timely manner. Such systems require unique solutions, represented here by companies such as Oracle, Microsoft, IBM, VMware and Netapp. Other companies are providing tools for information extraction, filtering and analysis, turning Big Data into Intelligence. To extract ‘the needle from the haystack’ of data, smart processing and analysis is automatically implemented, performing geographical analysis, links association and semantic analysis to reduce a mountain of raw data into a grain of valuable information. 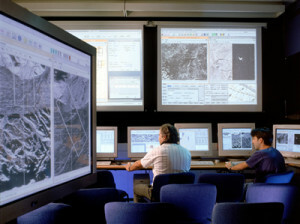 IAI subsidiary Elta Systems is also specializing in this field, particularly in strategic defense applications providing specialized gateways for certain intelligence domains, such as Signals and Cellular Intelligence (SIGINT), imaging (RICent), processing space, aerial imagery and Synthetic Aperture Radar data into a national repository of intelligence data. Similar solutions are currently being provided for homeland security applications. Among the applications presented at the conference were new studies in semantic web, presented by Prof. Haim Assa, performed under a Defense Research & Development Organization (DR&DD) program, based on Expert Systems’ COGITO. Systems utilizing these data processing capabilities are addressing targets that, in the past, were considered highly illusive – such as the ability to detect and mitigate ‘advanced persistent threat’ (APT) cyber-attacks, enabling pre-emptive defense against such threats, or Chasing money laundering and terror financing. Such applications were discussed here by Elbit System’s Wise Intelligent Technology (WIT) or ThetaRay’s cyber security application against APT.